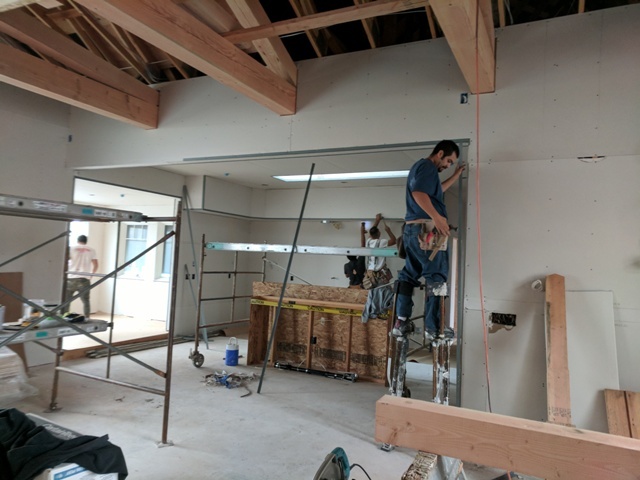 We’ve made great strides since our last post, and the house is really taking shape. Exterior photos from last week (already feeling outdated!) 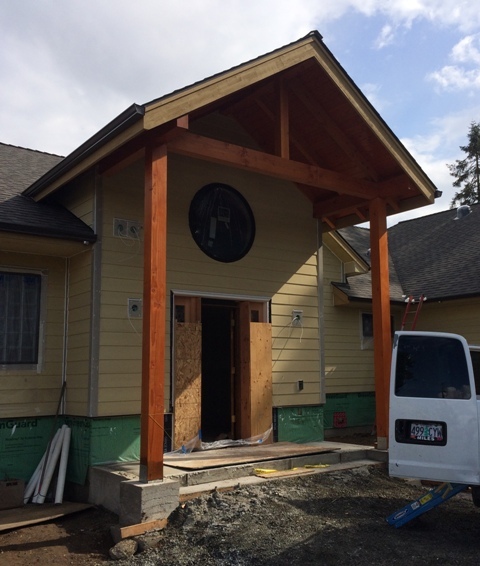 show the finished roofing, newly installed windows and exterior doors, progress on the siding, and more. We’re looking forward to installation of the stone wainscot that will cover the green sheathing along the base of the front of the home. 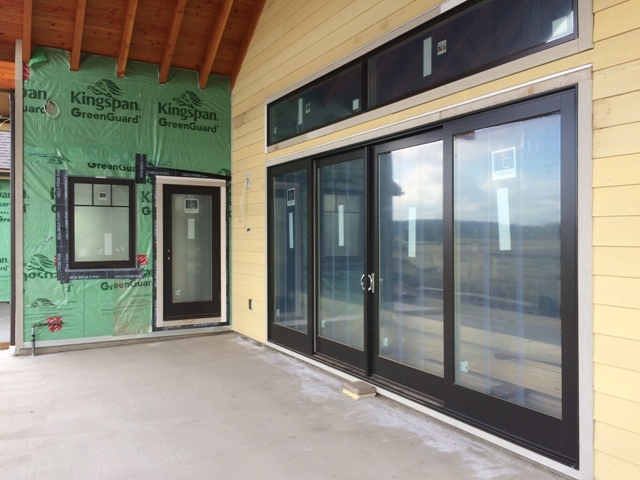 The covered back porch is coming together, with the 16-foot-wide sliding doors. 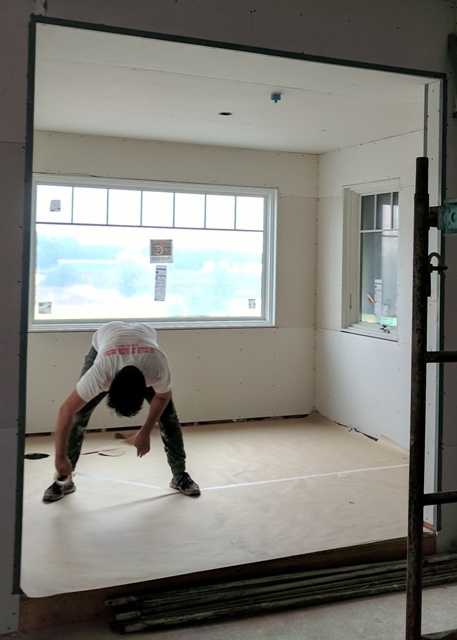 The wiring, fire sprinklers, and insulation are done, and now we are into drywall. It’s at this point where one really gets a sense of the scale of the different rooms. 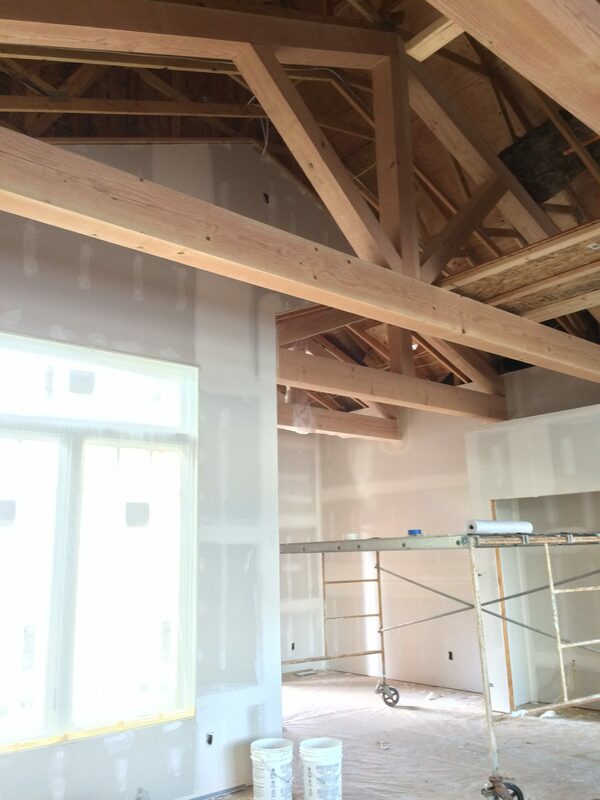 In this photo, taken from the front entry, you can see the main room of the home, with the trussed ceiling taking shape. The Kitchen and the Breakfast Nook (up a step and to the left, in the photo below) are adjacent to the Great Room. The kitchen gets additional natural light from a skylight. The Master Bedroom has its fireplace installed now. It will be clad in natural stone. The sitting area at the end of the room already looks inviting! 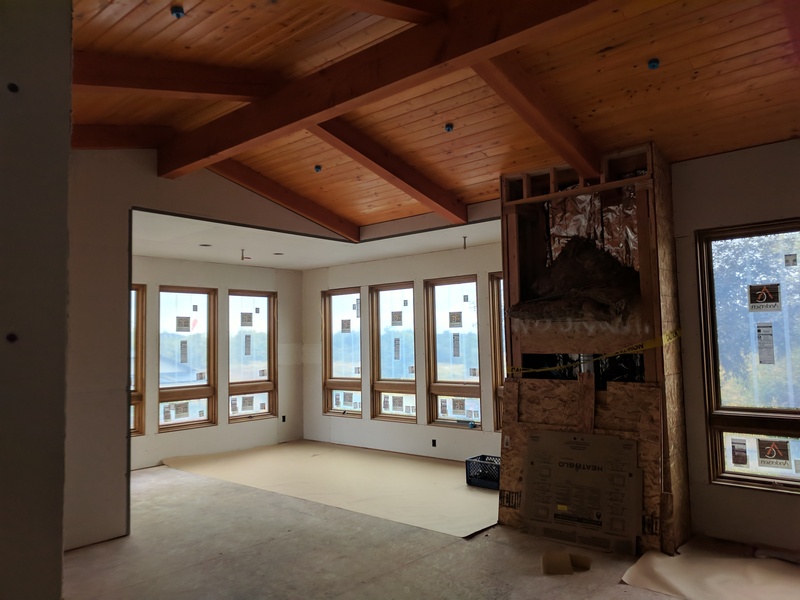 The east-facing, vaulted Den (photo below) will have expansive views of the Cascade Range and Willamette Valley below. 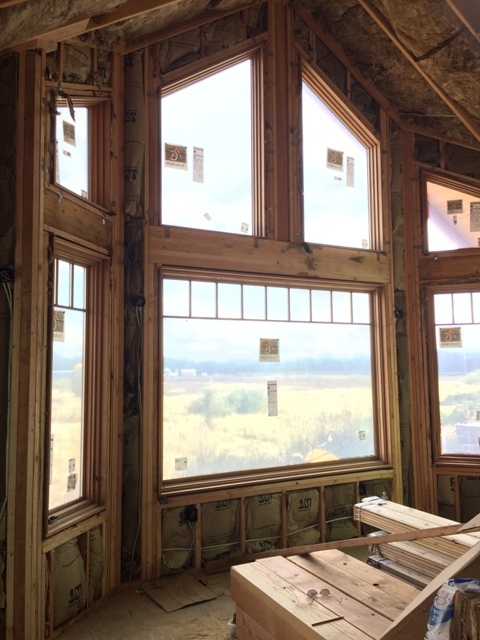 The windows have a natural cherry interior finish, which matches the paneled walls to be built soon!